Topology -- the understanding of how things are connected -- remains abstract, even with the popular example of doughnuts and coffee cups. This concept, esoteric as it appears, is also neat because it is the basis for creating ultrastable quantum "playgrounds." In topological systems, certain quantum behaviors can be carefully probed and even harnessed for all kinds of practical applications—from metrology to electronics. Recently scientists have sought to design devices whose topological features can be tuned, or even generated on-demand, like a switch. Quantum Hall physics, inherently topological, has been seen in electronic devices and in dilute atomic ensembles. In the two-dimensional electron case, current flows along an edge/interface (“edge states”) even in the presence of defects or other physical distortions in the sample---this arises from global properties of the material. This is strange when contrasted with conventional conductors/insulators, where the transport is impeded due the presence of disorder. 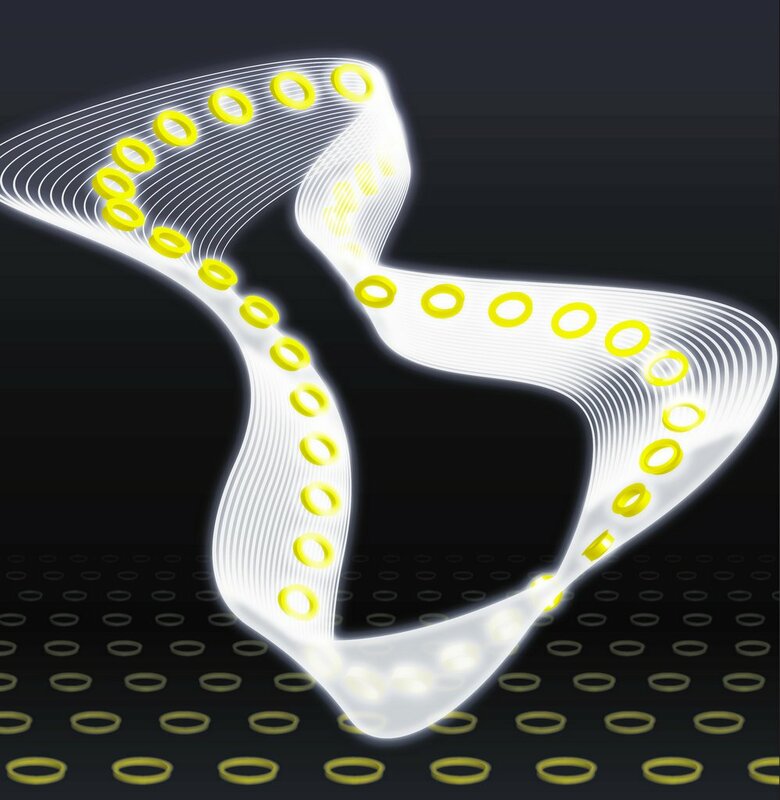 PFC scientists report the first observation of such topological effects for light in two dimensions. To accomplish this, they built a structure to guide infrared light over the surface of a room temperature, silicon-on-insulator chip. The design consists of a 2D landscape consisting of nearly flat ring-shaped silicon waveguides called resonators. Amazingly, they directly observed light racing around the boundary, impervious to defects. These photonic “edge states” are directly analogous to the quantum Hall effect for electrons. Since silicon is the preferred material for most electronics this novel design assists with the miniaturization of optical communication technology, bringing photons a little closer to their electronic circuit counterparts. The work is a realization of a theoretical proposal by this same group of PFC scientists and their collaborators more than a year ago.